Secluded beaches, turquoise seas, storied history and the friendliest marsupials you’ll ever meet: Rottnest Island is a unique offshore gem. 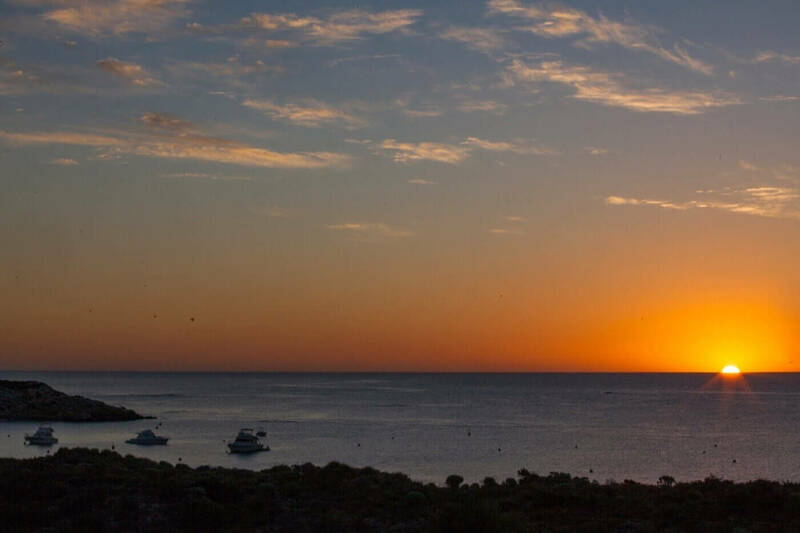 Amid these stunning natural surroundings, Karma Rottnest offers a serene retreat in which to relax and recharge. Treat yourself to a revitalizing Karma Spa treatment, or a leisurely round of golf and indulge yourself in the freshest and tastiest Mediterranean cuisine at Riva Restaurant. Each day, this beautiful island brings a brand new adventure. The only caveat? You’ll never want to leave. Make a reservation. Get in touch so we can help tailor the perfect holiday. 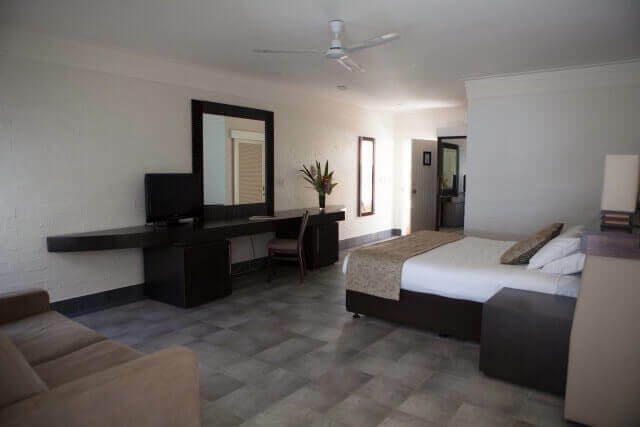 Karma Rottnest offers heritage style accommodation with rooms to suit everyone, from solo travelers to families. Allow our staff to share their local knowledge of the island and assist you in making the most of your time on this unique tropical island destination with its delicious Mediterranean climate. 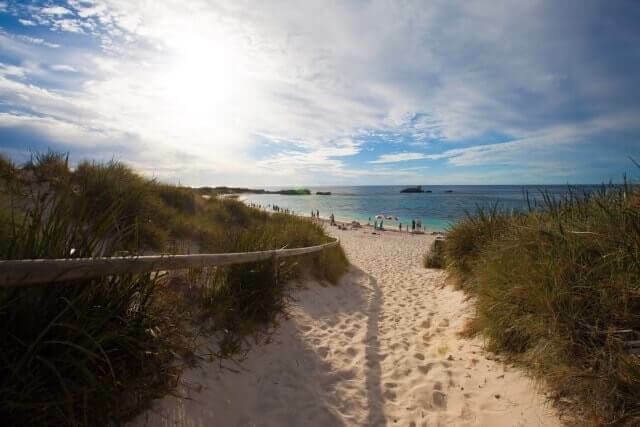 Just a short hop away from Perth by ferry, plane or yacht, Rottnest Island boasts a rich and varied history and nature at her prettiest, from scores of hidden beaches and secluded bays to colourful reefs and salt lakes. 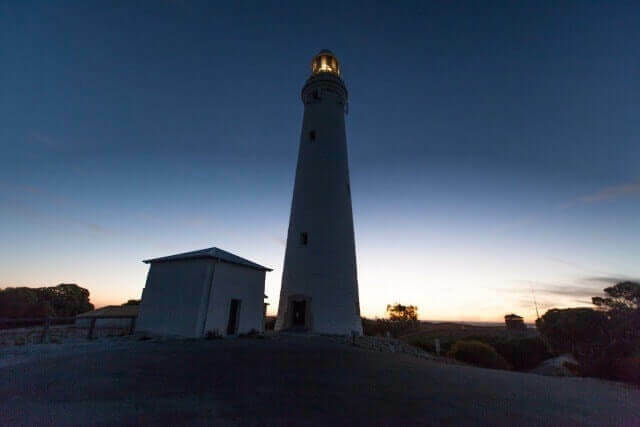 Bike to the Wadjemup lighthouse or explore World War II tunnels. 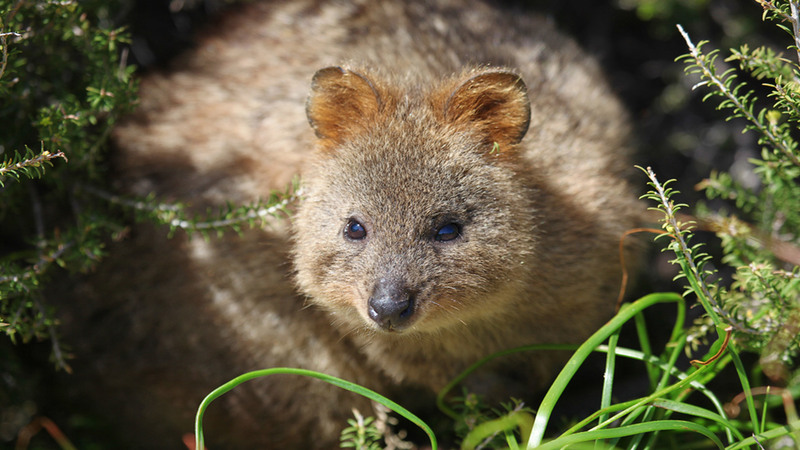 The island’s most famous resident is the Quokka – the friendly little marsupial that you’re sure to encounter and who’s become quite the celebrity on the island! 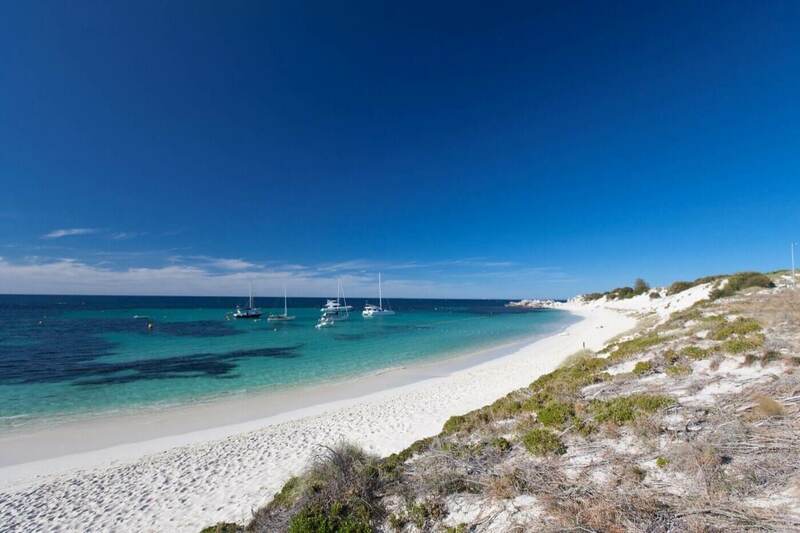 A 30-minute ferry ride takes you from the noise and bustle of state capital Perth to the laid-back charm of Rottnest Island. 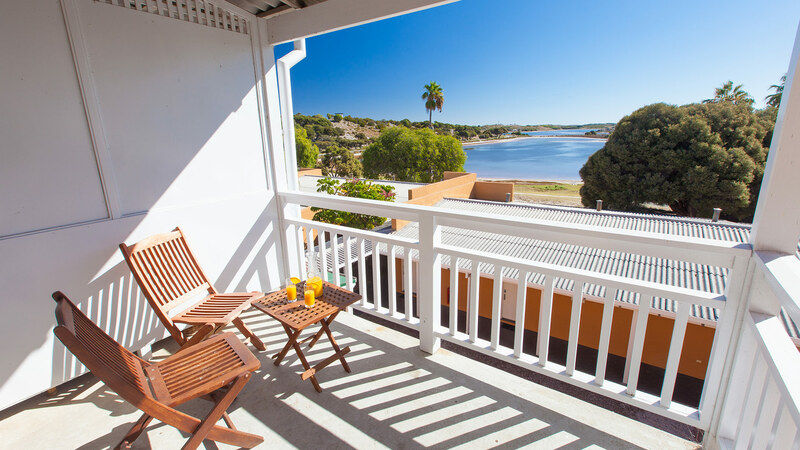 The leading resort accommodation on Rottnest Island, Karma Rottnest hosts up to 150 guests – in a spacious property featuring both apartments and hotel rooms, surrounded by gardens and a tranquil lake. 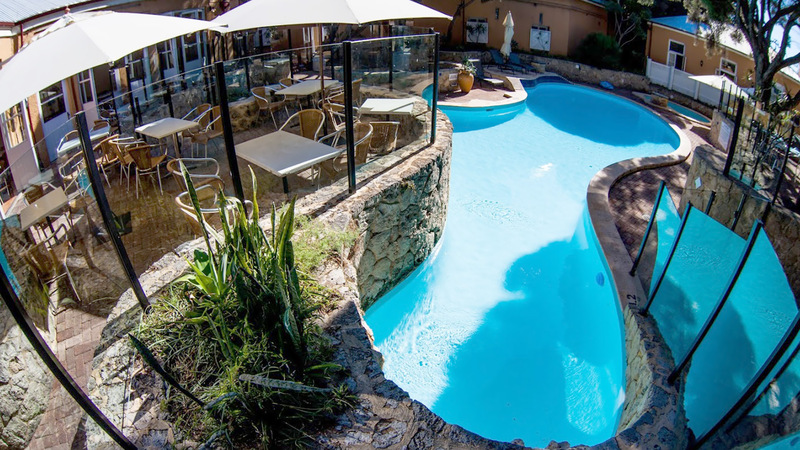 Relax by the pool with a signature cocktail, make new friends over a game of barefoot bowls or a round of golf or indulge yourself with a blissful Karma Spa treatment. The choice is yours. Riva’s inventive Mediterranean inspired menu and well-stocked cellar of local and international wines make dining at Karma Rottnest a gourmet affair. From wood-fired pizzas to three-course farm to table feasts: our relaxed restaurant. offers a variety of exceptional dishes created using the freshest ingredients and a carefully curated wine list that’s sure to satisfy the most demanding of palates. Award-winning mixologist Grant Collins has created a cocktail list inspired by the island itself – whether you’re after a pre-dinner aperitif of post-dinner digestif, we have you covered. 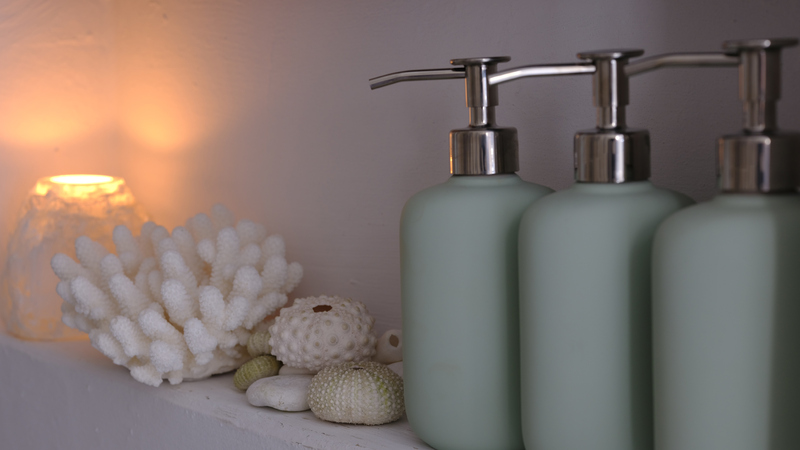 Set in a gorgeous heritage house, Karma Spa is a chic space offering a full spectrum of restorative treatments to keep you relaxed and rejuvenated during your island vacation. A high-point is the Apothecary Massage Bar where our team of bodyworkers co-curate a personalised experience for you with oil blends tailored around Relax, De-stress, Activate, Meditate and Mood Booster. 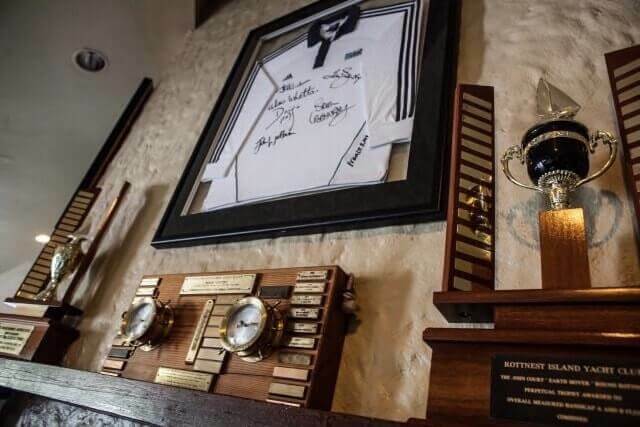 Gov’s Sports Bar has an old Australian warmth, hosting a warm and intimate dining experience featuring all those comforting favourites. 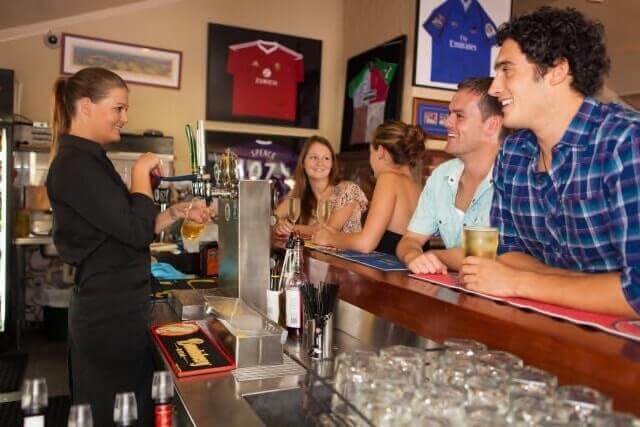 Enjoy an ice cold beer, wine or cocktail with a crispy pizza, sizzling Aussie beef burger, al dente pasta or an irresistible bucket of wings. Gov’s Bar is the perfect place to relax after a sun-kissed day of adventure. Karma Rottnest is a mecca for golf lovers with one of Western Australia’s finest courses right on its doorstep… Whether you’re playing 9 rounds or 18, Karma Rottnest has your après golf covered, with delicious food, drinks and cocktails, a pool to lounge beside and of course a cold beer at Gov’s Sports Bar. 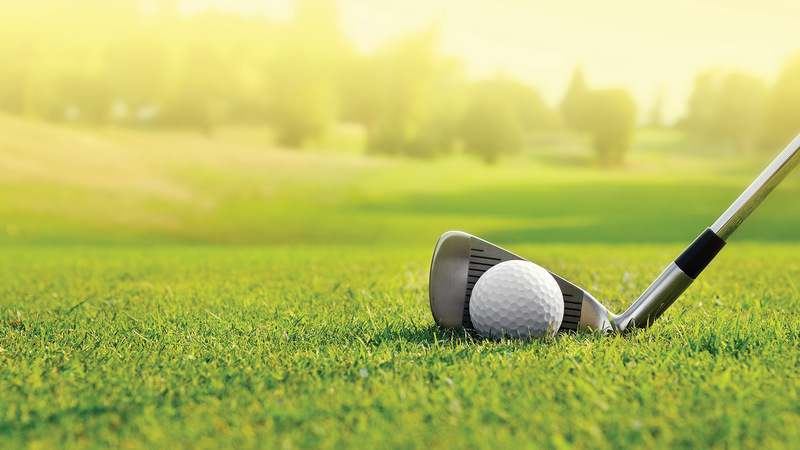 Round up some friends, throw back some beers and engage in some healthy competition with a laidback day on the green. It’s time to feel the sun on your face and the grass between your toes with a gentle game of barefoot bowls. The perfect accompaniment to everything from birthdays, to bucks & hens gatherings to engagements to fundraisers and sporting club getaways. 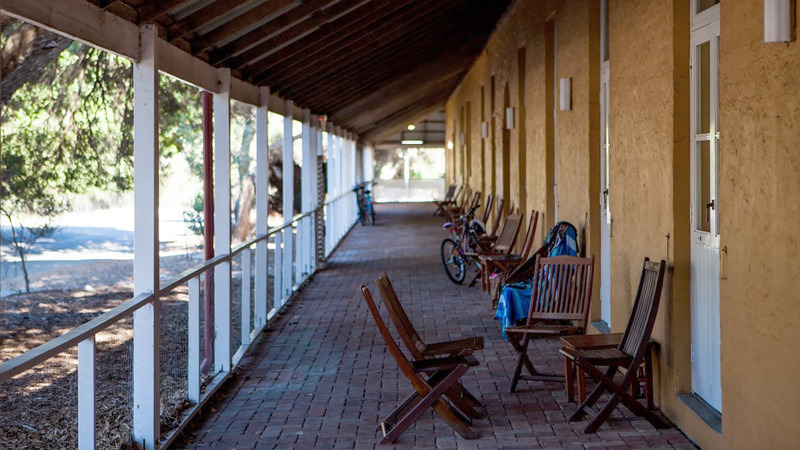 Karma Rottnest is a secluded historical landmark and fully equipped resort that offers all the amenities and facilities you could wish for your conference or event. From banquets to boardroom meetings, to cocktail parties to seminars, Karma Rottnest is highly experienced in hosting conferences, retreats and large scale gatherings. Our packages feature the full complement equipment, accommodation, spa and island-wide team building activities, from golf to sailing. Pre and post function tours, events with entertainment or wine dinners can also be arranged. We can comfortably host groups up to 110 in the fully-equipped conference room. Our experienced team is here to help tailor-make your ideal itinerary. The Lakeside Premium room is perfect for a corporate, couples or solo explorers retreat. It includes a king size bed, lounge area and a private balcony that overlooks the beautiful Governor’s Lake. King size bed, lounge area with a two seater sofa and coffee table, private balcony, en-suite shower, small refrigerator, television with Foxtel, IDD telephone, tea & coffee facilities, hairdryer, and iron. The Lakeside Standard room is great for families, groups of friends, and team bonding retreats. These rooms contain a queen-size and two single beds, plus a lounge area and private balcony. As the name suggests, they’re close to a picturesque lake. Queen bed and two single beds, lounge area with wicker armchairs & coffee table, a private balcony, writing desk, small refrigerator, IDD telephone, tea & coffee facilities, hairdryer, and iron. Perfect for solo travelers or couples, these rooms are located in the historic Palm Court area, adjacent to the main lodge building. Each features either a double or twin beds. Double Bed or two single beds, a writing desk, IDD telephone, small refrigerator, televisions with Foxtel, tea and coffee facilities. 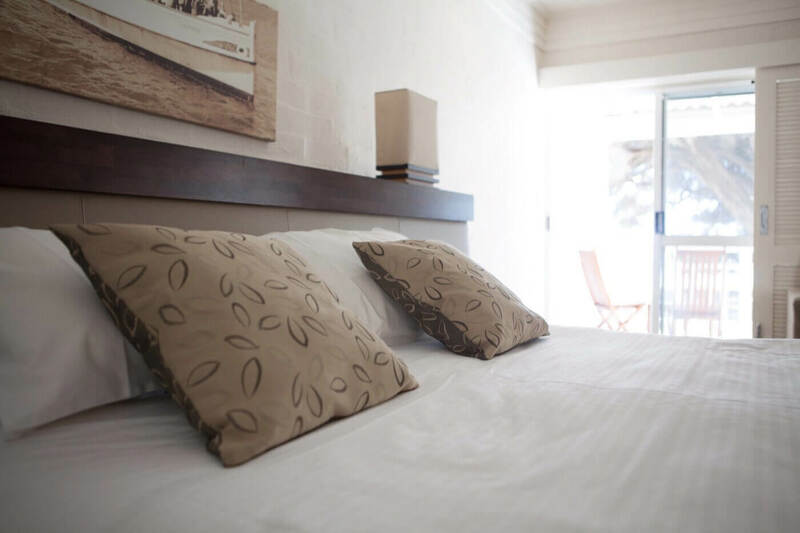 Perfect for couples, small families or groups of friends, these rooms are located in the historic Palm Court area and boast two beds – a queen and a single. French doors open on to a shared verandah, where you can kick back with a cocktail at the end of the day. Queen and single beds, wicker settee and coffee table, writing desk, television with Foxtel, small refrigerator, complimentary tea and coffee facilities. An inventive Mediterranean-inspired menu and well-stocked cellar of local and international wines transforms dining at Karma Rottnest into a gourmet affair. Picture exchanging vows on one of Australia’s most beautiful islands: Karma Rottnest truly is a uniquely special destination in which to say ‘’I do”. 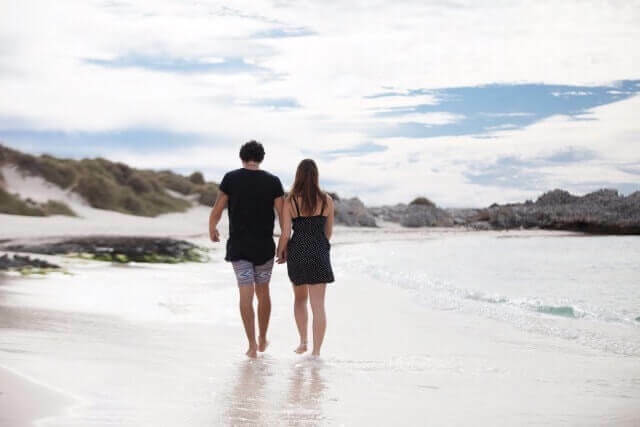 Karma Rottnest offers the perfect setting for your next intimate wedding experience and is set up to accommodate personalised and unique events. Our Wedding Coordinator offers a wide selection of packages and event spaces that can be tailored to your specific needs. Include: 1 Night Stay, Return Ferry, Cooked Break Fast, 2 X Rounds of Golf, 2 X 1 HR Massages. Offer valid Sun – Thu, Until the end of Feb 2019. Treat Dad to a weekend he'll never forget and celebrate Father's Day at Karma Rottnest. Escape the city for a romantic weekend away, where you can rejuvenate at our Karma Spa by indulging in restorative treatments, holistic therapies and a traditional Balinese massage. Retreat to Karma Rottnest for some slow flow. 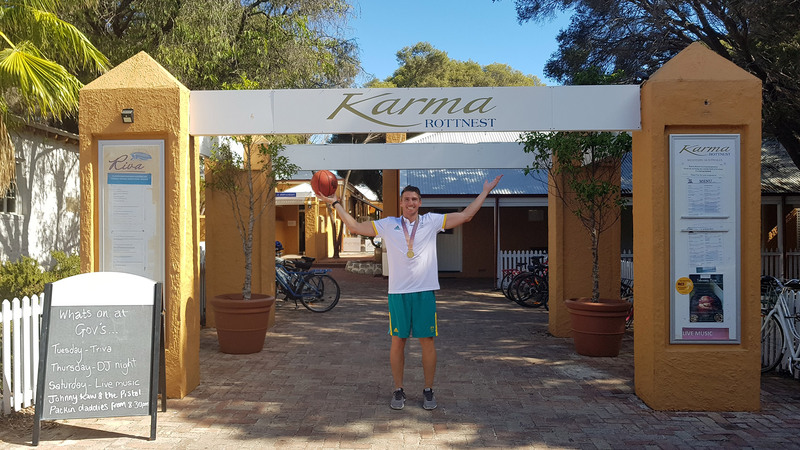 Yogi and wellness expert Ola Lirka will be visiting Karma Rottnest for three days. One, two- and three-day packages are available. Looking to treat Mum to a special Mother’s Day experience? Retreat to Secluded beaches, turquoise seas, storied history and the friendliest marsupials you’ll ever meet. Karma Rottnest is a unique holiday destination. 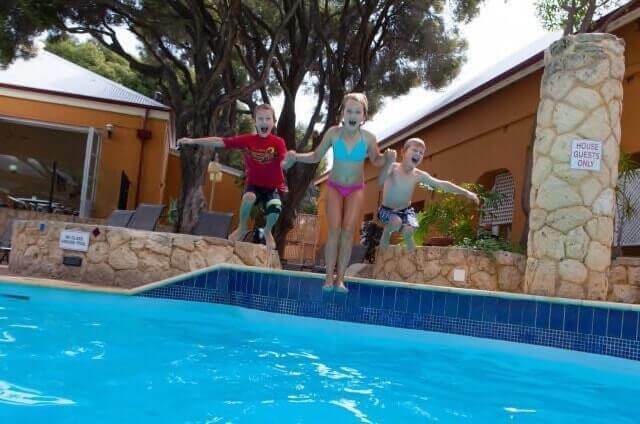 Beautifully appointed on Rottnest Island, Karma Rottnest is a secluded heritage resort. Functional for events that can be arranged in a variety of ways to suit everything from banquets and boardroom meetings to cocktails parties and seminars. 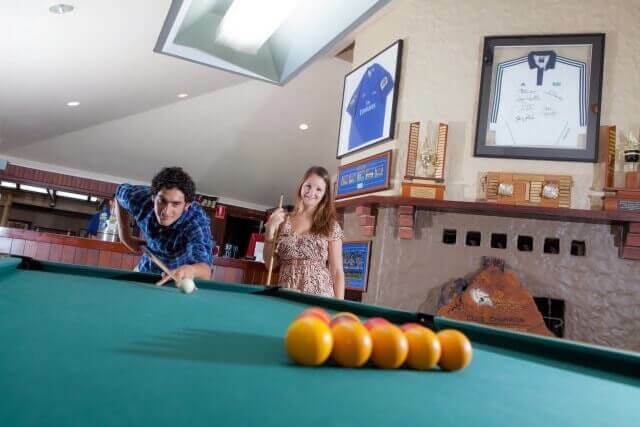 Retreat to Karma Rottnest to stay and play golf. One of WA's wellbeing and corporate retreat destinations. You can stay & play 18 rounds of golf. No clubs, no problems!